The Middle East diplomatic crisis that has set a coalition of Arab states against Qatar has inevitably spilled over into Libya. A number of those states party to the dispute have been involved in a proxy war, with the United Arab Emirates (UAE) and Egypt backing the eastern-based House of Representatives (HoR) and Khalifa Haftar’s anti-Islamist Libyan National Army (LNA), while Qatar and (to a lesser extent) Turkey support the Tripoli-based and UN-recognized Presidency Council/Government of National Accord (GNA). The main issues in the Gulf dispute are Qatar’s sponsorship of al-Jazeera and the channel’s willingness to criticize regional leaders (save Qatar’s al-Thani royal family), Qatar’s provision of a refuge for members of the Muslim Brotherhood and Hamas, its support for Islamist movements and its cooperative relations with Iran, with which it shares one of the world’s largest natural gas fields. Amid the dispute Egypt, Saudi Arabia, Bahrain and the UAE produced a “terrorist list” of 59 Qatari or Qatari-allied individuals from nine Arab countries, including five individuals from Libya (The National [Abu Dhabi], June 9). The list-makers seek to coerce Qatar to assist in Iran’s isolation and to end its support for the Muslim Brotherhood. This Arab states’ list was followed by a second list of 76 Libyan “terrorists” issued by the HoR’s Defense and National Security Committee on June 12, seven days after the HoR and its interim government severed relations with Qatar (Libya Herald, June 12). What follows examines the most notable Libyans named on those lists, their contacts with Qatar and the reasons behind their inclusion. During Libya’s 2011 revolution, Qatar deployed its air force against then Libyan leader Muammar Gaddafi’s loyalists and installations. It also provided substantial arms and supplies to revolutionary forces in Libya, earning it a significant degree of good will within the country. On June 8, LNA spokesman Colonel Ahmad al-Mismari presented audio, video and documentary evidence of massive political and military interference by Qatar in Libya since the 2011 revolution, comprising a wave of assassinations (including an attempt on Haftar’s life), recruitment and transport of Libyan jihadists to Syria, funding of extremist groups and training in bombing techniques via Hamas operatives from the Khan Yunis Brigade. Much of this activity was allegedly orchestrated by Muhammad Hamad al-Hajri, chargé d’affaires at the Qatari embassy in Libya, and intelligence official General Salim Ali al-Jarboui, the military attaché (al-Arabiya, June 9; The National [Abu Dhabi], June 8). Mismari also claimed on June 22 to have records of “secret meetings” held by the Sudan Armed Forces and attended by Sudanese president Omar al-Bashir that confirmed a conspiracy to support terrorism in Libya, Egypt and Saudi Arabia, and alleged that Qatar and Iran were operating arms factories in Sudan to supply Libyan terrorists (Libya Herald, June 22). On June 29, al-Mismari declared that the LNA was fighting “not with Libyan terrorists, but with transnational terrorism” supported by “the triad of terrorism in Libya,” Qatar, Sudan and Turkey. The colonel also claimed that the LNA’s intelligence department had obtained recordings of an al-Jazeera correspondent coordinating covert flights by Qatari aircraft to Libya to “support terrorist groups” (al-Arabiya, June 29). Qatar provides a home and refuge for members of the Muslim Brotherhood, but it does so on the condition that they do not involve themselves in Qatari politics. The local chapter of the Brotherhood shut itself down in 1999 after expressing approval of the emirate’s political and social direction (The National [Abu Dhabi], May 18, 2012). The Muslim Brotherhood’s political misadventures in Egypt led to distrust of the Brothers’ agenda in Libya, especially as the movement still struggles to establish grass-roots support after decades of existence in the Gaddafi era as a movement for Libyan professionals living in European exile. 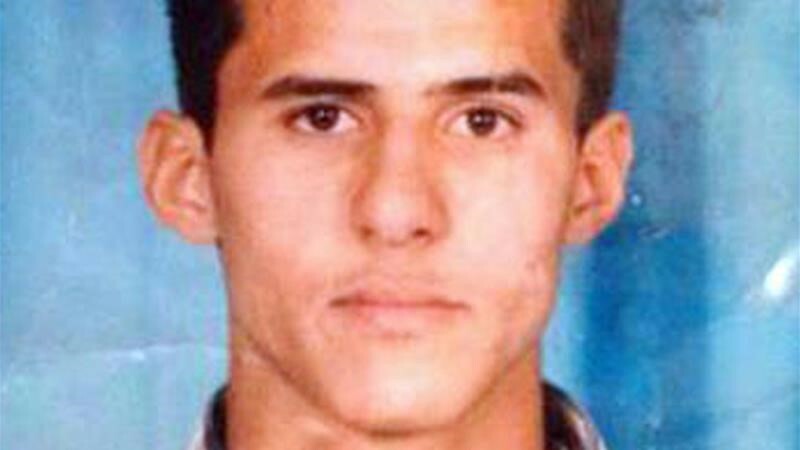 Ali Muhammad al-Salabi – Al-Salabi, a second-generation Muslim Brother, was sentenced to eight years in prison at 18-years-of-age for his alleged connection to a plot to kill Gaddafi. The intellectual and spiritual leader of the Libyan Brotherhood, al-Salabi consistently presents himself as a proponent of democracy and cooperation with international efforts to combat terrorism (Libya Herald, March 1, 2016). Al-Salabi developed ties with Qatar in 2009, when Qatar funded an al-Salabi headed de-radicalization initiative for imprisoned members of the al-Qaeda associated Jamaa al-Islamiya al-Muqatila bi-Libya (Libyan Islamic Fighting Group, or LIFG). When the 2011 revolution erupted, al-Salabi returned to Libya to act as a local conduit for Qatari arms, intelligence and military training. He now holds Qatari citizenship and has a close relationship to Yusuf al-Qaradawi, the Muslim Brotherhood’s 91-year-old Qatar-based spiritual leader (also named on the list) (Libya Herald, October 5, 2015). Al-Salabi has close ties with Abd al-Hakim Belhaj (see below), with whom he founded the Islamist Hizb al-Watan (Homeland Party) in 2011. Abd al-Hakim Belhaj– An allegedly reformed militant, Belhaj is chairman of Hizb al-Watan, believed to be financed by Qatar. Belhaj was amir of the LIFG and the leader of the post-revolutionary Tripoli Military Council. He is believed to have received substantial support from Qatar during the 2011 revolution and routinely defends Qatari activities in Libya against their critics. Mahdi al-Harati – A Libyan-born Irish citizen with military experience in Kosovo and Iraq, al-Harati returned from Ireland during the 2011 revolution and took command of the Tripoli Brigade. Briefly mayor of Tripoli before being ousted in 2015, al-Harati later led Libyan and Syrian fighters in Syria as part of the anti-government Liwa al-Ummah, a unit alleged to have included London Bridge attacker Rachid Redouane, a resident of Ireland (al-Arabiya, June 9; Libya Herald, June 9; Telegraph, June 6). The LNA alleges al-Harati is supported by Qatari intelligence (al-Arabiya, June 9). Ismail Muhammad al-Salabi – Brother of Ali Muhammad al-Salabi, Ismail was imprisoned by Gaddafi in 1997 and released in 2004. He became a principal recipient of Qatari arms shipments during the revolution as commander of the Raffalah Sahati militia, part of a coalition of Islamist militias known as the February 17 Brigade (al-Hayat, May 19, 2014). Clashes with Hatar’s LNA began in 2014 and continue to this day, with Ismail serving a prominent member of the Benghazi Defense Brigades (BDB) coalition. He is reputed to have a close relationship with Qatari intelligence chief Ghanim bin Khalifa al-Kubaisi (al-Arabiya, June 9). Al-Sadiq Abd al-Rahman Ali al-Gharaini – The 75-year-old al-Ghariani was, until recently, the controversial Grand Mufti of Libya and the head of the Dar al-Ifta, the office responsible for issuing fatwa-s (religious rulings). The Mufti considers Haftar and those under him to be “infidels” and has called for the destruction of the HoR, which voted to sack him in November 2014. The Dar al-Ifta office in Tripoli was shut down by the GNA on June 1, 2017, and all its contents were confiscated (al-Arabiya, June 1). A strong supporter of Qatar’s involvement in Libya who commands the allegiance of several Islamist militias, the Mufti is perceived by some Libyans as a supporter of religious extremism. Nonetheless, the League of Libyan Ulama (religious scholars) issued a strong condemnation of the Mufti’s inclusion in the terrorist list, warning against “accusing the righteous” (Libya Herald, May 10). The BDB, noting the UAE’s active military role in the Libyan conflict and its support for the “war criminal” Haftar, described the list as a fabrication designed with the intent of imposing “political restrictions on anyone who poses a threat to the UAE’s attempt at supremacy over the entire region” (Libya Observer, June 10). The majority of those on the HoR list are based in Tripolitania. Most of those listed share an opposition to Haftar, the LNA and/or the HoR, though the role of many is inflated. Many are described as members of the “Muqatila,” a shorthand reference to the now defunct LIFG. The inference is that they are former members or remain sympathetic to the goals of the group, which was once closely associated with al-Qaeda. While there is no apparent order to the HoR list, it makes more sense when those on it are gathered into focused groups, along with more detailed (and occasionally corrected) descriptions. There is, however, often some overlap in these unofficial categories. Muhammad Sawan – Chairman of the political wing of the Muslim Brotherhood, the Hizb al-Adala wal-Tamiyya (Justice & Construction Party, or JCP), since its founding in 2012. He is a Misratan who was imprisoned during the Gaddafi era. 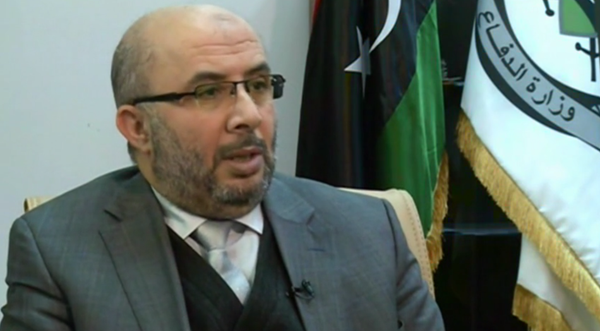 Ahmad al-Suqi – The head of the Libyan Muslim Brotherhood, elected in October 2015. 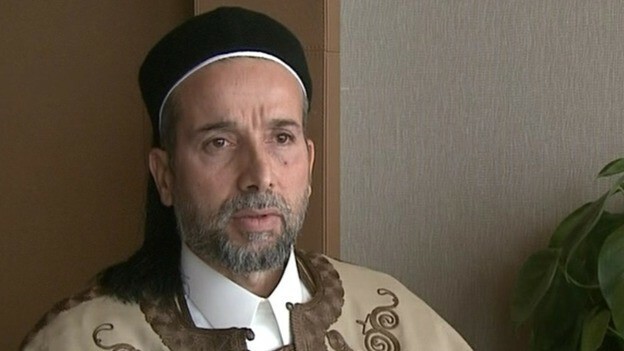 Nizar Kawan – An Amazigh (Berber) member of the Libyan State Council and an official in the JCP. Kawan was the victim of a failed assassination attempt and RPG attack on his home in June 2014. The attack was allegedly instigated by the pro-Haftar Libyan ambassador to the UAE, Aref al-Nayed, who was recorded urging a similar attempt on the life of Khalid al-Sharif (see below) (Libya Observer, September 3, 2015). Fawzi Bukatif – A Misratan, Bukatif is the current Libyan ambassador to Uganda. A reputed financial coordinator for the MB with Qatar, he was the commander of the February 17 Brigade during the revolution and has close ties to Ismail al-Salabi. Bukatif accused the HoR of inciting violence with the list and threatened legal action: “I’m not against Hafter or the HoR, but I don’t agree with what they are doing. It seems they want to fight and kill anyone who disagrees with them” (Libya Herald, June 12). Abd al-Basit Ghwaila – Director of the Tripoli office of the Ministry of Awqaf (religious endowments), Ghwaila is a Libyan-born Canadian citizen. He became the focus of attention when it was revealed that he was a close friend of the father of Manchester bomber Salman Abedi as well as the founder of an Islamic youth group to which Salman belonged. In 2016, his own son Awais was killed fighting alongside extremists in Benghazi. Ghwaila is an important official in al-Ghariani’s Tanasuh Foundation and a regular preacher on the Mufti’s Tanasuh TV station (Libya Herald, June 6). Salem Jaber – A leader in the now dissolved Dar al-Ifta, Shaykh Salem advocates jihad and is a Salafist proponent of Saudi-style Islamic education. He demands beards for men and has called for drinkers and fornicators to be whipped. The list suggests he is a spiritual leader in the BDB. Tahir Nasuf – A Manchester-based LIFG fundraiser and former director of the group’s main fundraising organization, the now banned UK-based al-Sanabel Relief Agency. Funds flowed from Sanabel to Abu Anas al-Libi in Afghanistan, wanted for alleged involvement in the 1998 bombings of the U.S. embassies in Nairobi and Dar al-Salaam (The Guardian, May 28). Nasuf was on the UN sanctions list from 2006 to 2011. Khalid Tawfik Nasrat – A former LIFG leader and the father of Zuhair Nasrat, one of the detainees in the investigations of the Manchester attack. Zuhair was arrested at the south Manchester Nasrat family home where Manchester bomber Salman Abedi frequently stayed. Nasrat and his two eldest sons returned to Libya to fight in the 2011 revolution (Daily Mail, May 29). 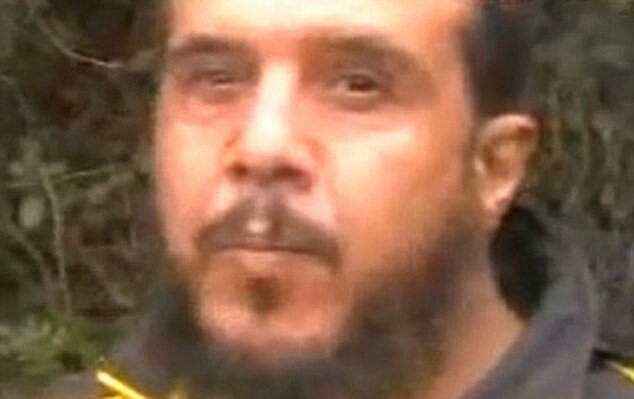 Bashir Muhammad al-Faqih – He is described in the list as “the spiritual leader of al-Qaeda and the LIFG in Libya.” As a resident of Birmingham and former member of the LIFG, al-Faqih was convicted and sentenced to four years in prison in 2007 after admitting to charges under the UK’s Terrorism Act. In 2014, his appeal to the European Court of Justice resulted in an EU order to overturn his conviction and return his passport (BBC, July 17, 2007; Manchester Evening News, October 8, 2010). He was involved in al-Qaeda financing via the Sanabel Relief Agency, which put him on the UN sanctions list from 2006 to 2011. 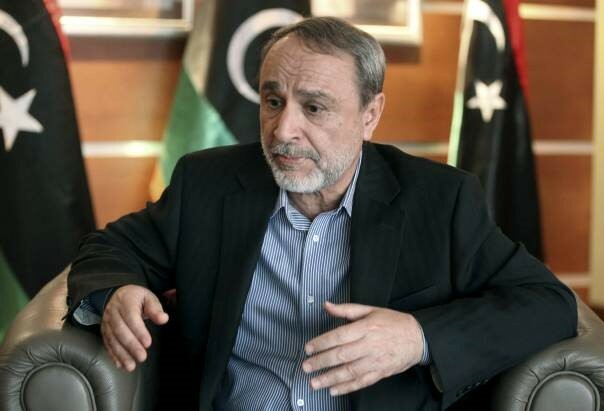 Abd al-Rahman al-Shaibani al-Suwehli – As chairman of the Libyan State Council since April 6, 2016, Suwehli has challenged the legitimacy of the HoR. A bulletin from the State Council said that the HoR was using the term “terrorism” to vilify and denigrate their opponents through the list and threatened legal action (Libya Herald, June 12). Suwehli and Presidency Council chief Fayez Serraj were targeted for assassination when their motorcade came under heavy fire on February 20. 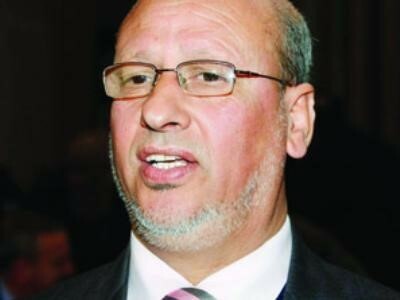 Suwehli later accused GNS head Khalifa Ghwell of being behind the attack (Libya Herald, February 20). 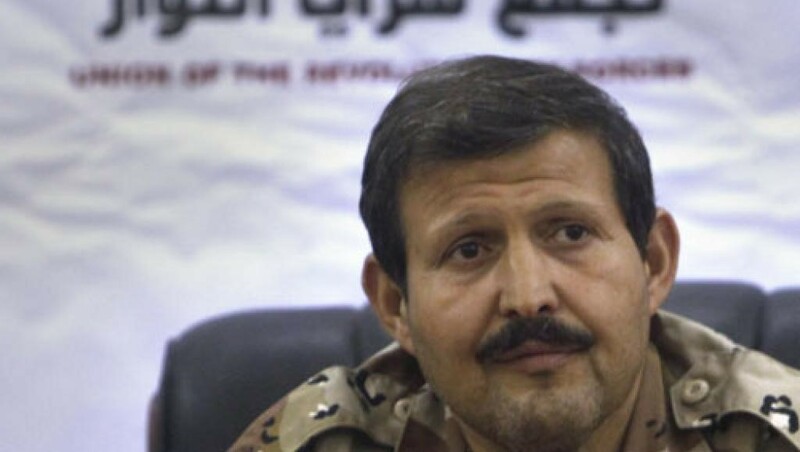 Brigadier General Mustafa al-Sharkasi – A professional soldier and former air force colonel in the Gaddafi-era, al-Sharkasi has emerged as the dominant commander in the BDB. Turning against the regime, he acted as a militia commander in Misrata during the revolution. Once part of Haftar’s LNA, he is now bitterly opposed to him (Libya Herald, November 13, 2016). Al-Saadi al-Nawfali – The leader of the Operations Room for the Liberation of the Cities of Ajdabiya and Support for the Revolutionaries of Benghazi. This group cooperates closely with the BDB, in which he also holds a leadership position. Al-Nawfali has been variously described as an al-Qaeda operative, a former Ansar al-Sharia commander in Ajdabiya and a supporter of Islamic State (IS) forces. Anwar Sawan – A Misratan supporter of the BDB and the Benghazi Shura Council, Sawan is a major arms dealer to Misratan Islamist militias. He supported the fight against IS in Sirte and opposes both Haftar and Serraj. Ziyad Belam – A commander in the BDB and former leader of Benghazi’s Omar al-Mukhtar Brigade and the Benghazi Revolutionaries Shura Council (BRSC), an alliance of Benghazi-based Islamist militias that once included local IS fighters. He was seriously wounded in an assassination attempt in October 2014. The BDB responded to the HoR’s “terrorist” list by providing their own “top 11” terrorist list focused on eastern-based civilian supporters of Haftar and the HoR. The most prominent individuals on the list were HoR President Ageela al-Salah and HoR Prime Minister Abdullah al-Thinni. (Libya Herald, June 16). Ali al-Safrani and Abd al-Hadi Zarqun (a.k.a. Abd al-Hadi al-Warfali) – Both were accused of being financiers for IS in Libya. Sanctions were imposed on the two by the U.S. Treasury Department in April. Mahmoud al-Barasi – A former Ansar al-Sharia commander in Benghazi, now purported by the list to be an IS amir in that city. He once said Ansar’s fight was against “democracy, secularism and the French,” and labeled government members “apostates” who could be killed (Libya Herald, November 25, 2013). Muhammad al-Darsi – A leading al-Qaeda figure in Libya, Darsi was given a life sentence in Jordan in 2007 for planning to blow up that nation’s main airport. He was released in 2014 in exchange for the kidnapped Jordanian ambassador to Libya, who was seized by gunmen in Tripoli (al-Jazeera, May 14, 2014). Abd al-Moneim al-Hasnawi – Allegedly a high-ranking member of Katibat al-Muhajirin in Syria, Abd al-Moneim was recently spotted back in Sabah (Fezzan), where he was allegedly working with the Misratan Third Brigade, the BDB and the remnants of Ibrahim Jadhran’s Petroleum Facilities Guard (PFG) (Menastream.com, November 15, 2016). The list describes him as a representative for al-Qaeda in the Islamic Maghreb (AQIM) in southern Libya. Salah Badi – A Misratan, Badi was an officer in Gaddafi’s army but was later imprisoned. A former GNC parliamentarian, he resigned in 2014. Badi formed the Jabhat al-Samud (Steadfastness Front) in Tripoli in June 2015. Badi supports Khalifa Ghwell’s GNS and opposes both the GNA and Haftar. He was recently seen leading the Samud Front in a pro-GNS offensive against Tripoli in early July (Libya Herald, July 7). Tariq Durman – Leads the Ihsan Brigade in Tripoli, which is made up of supporters of Mufti al-Ghariani. He supports the GNS. Khalid al-Sharif – A deputy amir in the LIFG, Khalid was captured in 2003 and held prisoner in a secret CIA detention center in Afghanistan for two years. He was then returned to Libya and imprisonment under Gaddafi (Christian Science Monitor, May 7, 2015). Khalid controlled Tripoli’s Hadba prison until May 26, when it was seized by Haitham Tajouri’s Tripoli Revolutionaries’ Brigade, which then destroyed al-Sharif’s home (Libya Herald, May 27). A search revealed the prison to have contained a bomb-making factory (Libya Herald, June 4). In June, the Libyan National Committee for Human Rights tied Manchester bomber Salman Abedi to Khalid al-Sharif and other former LIFG members and demanded the International Criminal Court and the UN investigate “Qatar’s role as a financier of this group” (Arab News, June 3). 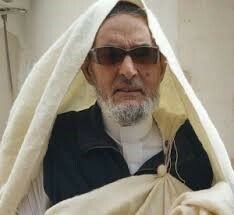 Sami al-Sa’adi – Al-Saadi left Libya for Afghanistan in 1988, where he became a deputy amir of the LIFG. He was arrested in a joint UK/US operation in 2004 and returned to Libya, where he was tortured and spent six years in prison. The UK paid £2.2 million in compensation in 2012 but did not accept responsibility for the rendition. 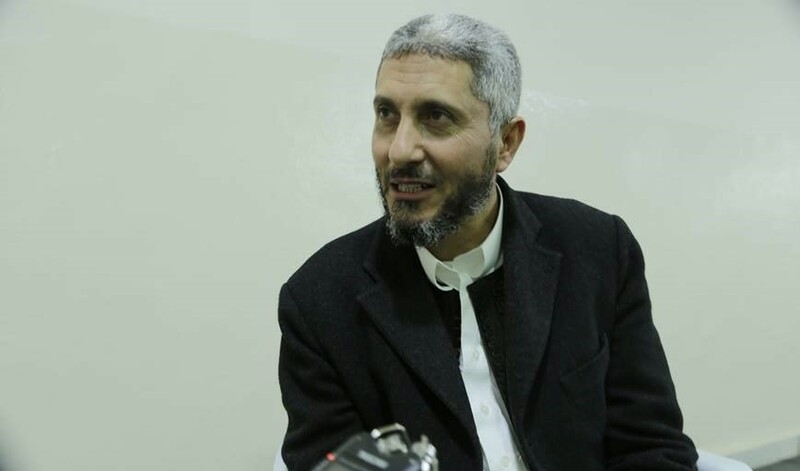 After the revolution, he became close to Mufti al-Ghariani, founded the Umma al-Wasat Party and was a commander in the Islamist Libya Dawn coalition. In late May, Saadi’s Tripoli home was destroyed by the Tripoli Revolutionaries’ Brigade (Libya Herald, May 27). 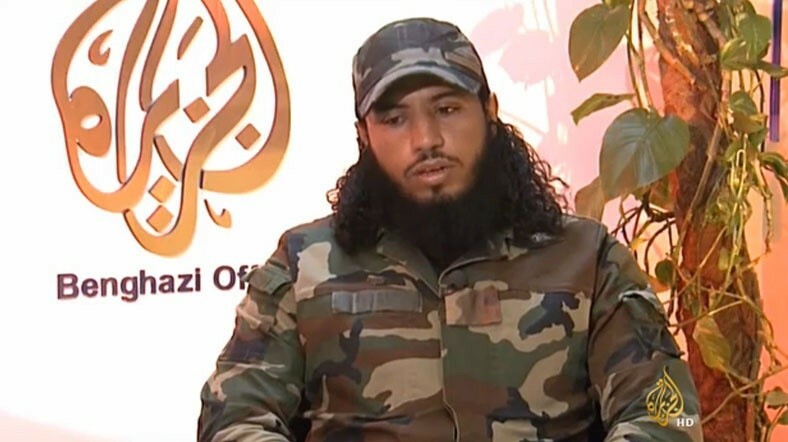 Ahmad Abd al-Jalil al-Hasnawi – A Libyan Shield southern district commander, the LNA claimed al-Hasnawi planned and led the BDB’s Brak al-Shatti attack (Libya Herald, May 19; Channel TV [Amman], May 22, via BBC Monitoring). A GNA loyalist, al-Hasnawi commands wide support within his Fezzani Hasawna tribe. The Libyan component of these two “terrorist” lists have a common purpose — to lessen foreign resistance to the takeover of Libya by the HoR-backed LNA while simultaneously discrediting the counter-efforts of Qatar. Egypt’s military regime in particular is determined to eliminate Muslim Brotherhood influence in the region. Another common theme of the lists is the insistence that the arms embargo on Libya be lifted in order to supply Haftar with the weapons needed to defeat “terrorism” and control the flow of “foreign fighters” (despite their being used by both Haftar’s LNA and pro-GNA forces). Clearly designed for an international audience, the HoR’s list is light on IS militants (already despised by the West) and heavy on political, military and religious opponents to Haftar and his Egyptian and UAE backers. The BDB, as one of the strongest military challengers to Haftar’s LNA, is particularly singled out. While some of the individuals mentioned above have long histories of supporting terrorist activity, many of the lists’ lesser individuals not included here can only be regarded as having the most tenuous of links, if any, to terrorism. In this sense, the list may be viewed as political preparation for an expected Haftar assault on Tripoli later this year, branding all possible opposition in advance as “terrorists” for international consumption. A Qatari official insisted that at least six of the individuals on the list were already dead (Foreign Policy, June 15). The UAE uses al-Khadim airbase in Marj province for operations by AT-802 light attack aircraft and surveillance drones (Jane’s 360, October 28, 2016). The UAE also controls an estimated 70% of Libyan media, according to an Emirati investigative website (Libya Observer, June 13). Khalifa Ghwell is leader of a third rival government, the Government of National Salvation, which has some support from Mufti al-Ghariani. The offensive is the latest in a series of attempts by Ghwell to overthrow the GNA administration in Tripoli. The State Council was formed by the 2015 Libyan Political Agreement as an advisory body to the GNA/Presidency Council and HoR as a third element of the unified government. Changing political alignments in the Gulf region now appear to threaten the continued existence of the Gulf Co-Operation Council (GCC), an important six-nation organization designed to further the political interests of the Gulf’s conservative monarchies with an eye to eventual unification. Though tensions have been growing within the GCC for some time, the dramatic rupture in diplomatic relations between Qatar and three other members of the GCC (Saudi Arabia, the UAE and Bahrain) over the former’s backing of the Muslim Brotherhood has the potential of dealing a fatal blow to the Council. GCC members include Saudi Arabia, the United Arab Emirates (UAE), Qatar, Bahrain, Kuwait and Oman. Rather than a simple alliance, the GCC is better thought of as a complex network of relationships in which common goals such as security and prosperity are intended to override competing interests. On March 7, Saudi Arabia declared the Muslim Brotherhood, Syria’s al-Nusra Front, the Houthists of north Yemen, the Islamic State of Iraq and Syria (ISIS) and a little-known group the edict called “Hezbollah within the Kingdom” to be terrorist organizations. A Brotherhood front organization in Egypt expressed “surprise” at Riyadh’s choice to “continue support for the coup” and to “criminalize opposition to the unjust coup” (Ahram Online [Cairo], March 10). Riyadh also gave 15 days for all Saudi citizens engaged in fighting abroad to return home without penalty. Under a decree issued by King Abdullah on February 3, Saudi citizens fighting in conflicts outside the kingdom will face imprisonment for a term of three to 20 years, with members of extremist or terrorist groups facing even harsher penalties (Ahram Online [Cairo], March 7). Saudi Arabia, the UAE and Bahrain withdrew their ambassadors from Doha in early March in an unusual show of dissatisfaction with the policies of a fellow GCC member. Qatar’s foreign minister, Khalid al-Attiya, responded to the moves by asserting that: “The independence of Qatar’s foreign policy is simply non-negotiable” (al-Jazeera, March 18). Qatar was a strong financial supporter of the short-lived Mursi regime in Egypt, but now has nothing to show for its investment other than growing diplomatic isolation. The Saudis and the UAE, on the other hand, have backed the military government of Field Marshal Abd al-Fatah al-Sisi with massive financial support to keep the regime afloat in a difficult period and can expect their political influence to grow if al-Sisi becomes the next president of Egypt, as expected. Saudi Arabia is reported to have warned Qatar that it would be “punished” unless it met three demands; the closure of al-Jazeera (accused by Egypt of backing the Muslim Brotherhood), the severance of all ties to the Muslim Brotherhood and the expulsion of two U.S. institutes from Qatar, the Brookings Doha Centre and the Rand Qatar Policy Institute (Qatar News, March 15; AFP, March 15). The promised alternative is a Saudi air and land blockade of Qatar, which not only relies heavily on imports of food and other goods, but is also an important regional transportation hub. The Saudi and Qatari militaries last clashed along their mutual border in 1992. The UAE has been somewhat less bellicose than the Saudis, given that the Emirates depend on Qatari natural gas for power generation (Financial Times, March 14). Otherwise, Saudi Arabia, the UAE and Bahrain will find it difficult to apply economic pressure on Qatar, which has broad overseas investments, Asian markets hungry for its natural gas production and does only five percent of its trade with the three GCC partners opposing its policies (Bloomberg, March 13). Qatar continues to host the Brotherhood’s unofficial leader, Shaykh Yusuf al-Qaradawi, an influential preacher with considerable media skills. Qatar’s ambassador to the UAE was summoned to the foreign ministry in Abu Dhabi in February to explain a sermon broadcast from Qatar by al-Qaradawi in which the shaykh condemned the UAE as a nation that opposes Islamic rule. The remarks came a day after UAE authorities imprisoned 30 Emiratis and Egyptians accused of forming a Brotherhood cell in Abu Dhabi (al-Jazeera, February 2). Qatar has offered refuge to fugitive members of the Brotherhood, while the UAE has imprisoned scores of members of the Brotherhood and its UAE affiliate, the Islah Party (al-Jazeera, March 18). In recent years, Qatar has grown closer to Iran and Turkey, the latter’s ruling Justice and Development Party also being a strong supporter of the Muslim Brotherhood. Qatar’s ties to Shi’a Iran in the midst of an ongoing regional Sunni-Shi’a power struggle are particularly alarming to the Saudis (whose oil-rich Eastern Province has a Shi’a majority) and the Sunni rulers of Bahrain, who are trying to repress simmering discontent in Bahrain’s Shi’a majority. Kuwait appears to be dismayed by the whole dispute and has offered to act as a mediator. The last member of the GCC, Oman, has an Ibadite majority and has traditionally close ties to Iran as part of a resolutely independent foreign policy. Oman is a strong opponent of Saudi-led efforts to create an economic, customs and defense union within the GCC. Egyptian officials announced Cairo had decided not to close its embassy in Doha because of the large number of Egyptian nationals working in Qatar but would not send a new ambassador (Al-Monitor, March 12). Qatar’s active role in the Syrian and Libyan rebellions has been a leading element of an increasingly aggressive Qatari foreign policy that has at times alarmed its conservative neighbors. Despite this, there is a tremendous incentive to cooperation within the GCC as its members will all suffer economically if political disputes lead to blockades, closed borders or confrontations in an already compact and volatile region. This article first appeared in the March 20, 2014 issue of the Jamestown Foundation’s Terrorism Monitor. They are attacking Iraq, through Syria and in a direct way, and they announced war on Iraq, as they announced it on Syria, and unfortunately it is on a sectarian and political basis… I accuse them of inciting and encouraging the terrorist movements. I accuse them of supporting them politically and in the media, of supporting them with money and by buying weapons for them. I accuse them of leading an open war against the Iraqi government… These two countries are primarily responsible for the sectarian and terrorist and security crisis of Iraq (France 24, March 9). Al-Maliki concluded that he had no intentions of retaliating, but warned the two Gulf states that “support of terrorism will turn against you.” Al-Maliki reiterated his warning at a Baghdad anti-terrorism conference on March 12, saying “the state that supports terrorism holds responsibility for [the] violence faced by our countries” (Shafaq News, March 12). Al-Maliki added that terrorism in Iraq “does not differentiate between Sunni and Shiite” (Iraqi National News Agency [Baghdad], March 12). Over 1800 Iraqis have been killed in the political and sectarian violence already this year (AFP, March 8). The Iraqi prime minister’s comments came in the midst of campaigning for parliamentary elections next month and a very public dispute with parliament over his decision to carry on disbursing government funds despite failing to get parliament to ratify the budget. Parliamentary speaker Osama al-Nujaifi has accused the prime minister of violating the constitution and described the decision to disburse funds without ratification as “embezzlement” (Iraq Pulse, March 19). Al-Maliki has little support amongst Iraq’s Sunni minority and is also engaged in a dispute with the Kurds of northern Iraq (Gulf News [Dubai] March 14). A range of Iraqi Sunni and Shi’a political and religious groups denounced the prime minister’s remarks as an effort to deflect attention from his failures in Anbar Province, the heart of the Sunni rebellion (al-Sharq al-Awsat, March 11). Riyadh described al-Maliki’s accusations as an attempt to cover up the Iraqi prime minister’s internal shortcomings: “Instead of making haphazard accusations, the Iraqi prime minister should take measures to end the chaos and violence that swamp Iraq” (Gulf News [Dubai], March 14; Saudi Gazette, March 11). Saudi allies Bahran and the United Arab Emirates (UAE) both reacted angrily to al-Maliki’s accusations against Riyadh, with the UAE summoning the Iraqi ambassador to receive its protest in person (Emirates News Agency [Abu Dhabi], March 12; Arab News [Jeddah], March 13). The Iraqi prime minister’s statement was also condemned by Gulf Co-Operation Council secretary-general Abdullatif al-Zayani, who said the allegations were ”aggressive and baseless” (KUNA [Kuwait], March 11). Beyond their political usefulness for al-Maliki, who appears to be focusing on Iraq’s Shi’a voters for support, the prime minister’s remarks are a reflection of the strains being placed on relations between Arab nations by growing Shi’a-Sunni tensions in the Middle East. In remarks very similar to recent statements from Egyptian al-Qaeda leader Ayman al-Zawahiri, a popular Doha-based Egyptian Islamic scholar and spiritual leader of the Muslim Brotherhood has accused Iran of being behind a new wave of Shi’a “imperialism” that threatens the existence of Sunni Islam in Egypt and other Muslim countries. 82-year-old Shaykh Yusuf al-Qaradawi is a media-savvy religious scholar based in Qatar. Al-Qaradwi is the president of The International Union for Muslim Scholars (IUMS) and the head of the European Council for Fatwa and Research (ECFR). He hosts a religious program entitled “Shari’a and Life” on Qatar-based al-Jazeera TV. In a September 9 interview, al-Qaradawi attacked what he perceived as an Iranian-backed attempt to displace Sunni Islam with Shi’ism: “I don’t accept that any Arab or foreign country should attack Iran, but I don’t accept that Iran should attack any Arab country, especially seeing as some Iranians have imperial dreams, which is wrong and dangerous… What is happening is organized, an invasion… It is not a religious invasion but a political one. Iran is trying to impose itself on those around it and we refuse to follow a new form of neo-colonialism, be it Iranian or any other” (al-Masry al-Youm, September 9). Describing the Shia as “heretics” (mubtadioun), the shaykh alleged that well-funded missionary cadres are “invading Egypt,” as well as Sudan, Algeria, Morocco, Nigeria, Malaysia and Indonesia (Al-Ahram Weekly, September 25 – October 5). Iran responded by suggesting the cleric had come under “pressure from extremists” (Gulf Times [Doha], September 17). The remarks came at a time when tensions between Sunnis and Shias have grown due to the civil conflict in Iraq, Iran’s continuing nuclear program and the suggestion by some Western analysts that Iran is promoting the creation of a “Shiite Crescent” across the Arab Middle East. The shaykh’s views on Shi’a “imperialism” have encountered widespread opposition in the Arab and Islamic world. A Kuwaiti commentator suggested al-Qaradawi was trying to mobilize the Sunnis in a war against the Shia and asked, “Would anything happen to Egypt if 100,000 Egyptians became Shi’is? And vice versa, would anything happen to Iran if the same number of Iranians became Sunni? Nothing would happen as long as brotherly relations prevail among different sects” (al-Watan [Kuwait], September 24). Shi’a Muslims form a majority in Iran, Iraq, Azerbaijan and Bahrain. They form sizable minorities in Saudi Arabi, Kuwait, the United Arab Emirates and Yemen. Reaction was particularly negative in Lebanon, where al-Qaradawi claimed Hezbollah was trying to leverage popularity won in its 2006 victory over Israel to convert Sunnis to Shi’ism. Shaykh Fathi Yakan, head of the Islamic Action Front (Jabhat al-Amal al-Islami – an umbrella group of Lebanese Sunni Islamists allied with the Shiite Hezbollah), condemned the remarks of the “dear cleric”: “The most serious blow we received this week was a sectarian one dealt to us by a dear cleric, a blow which could have been deadly. We hoped that he would not have raised this issue. We hoped that the revered cleric would have referred in his talk to the increasing number of Jews coming to the Land of Al-Kinanah [Egypt]” (al-Manar TV, September 24). Though not referring to al-Qaradawi specifically, Shaykh Na’im Qasim, deputy secretary general of the Lebanese Hezbollah, saw an American hand behind efforts to create a sectarian divide in Islam: “This sedition has recently been bearing the U.S. signature because America wants to ignite the area under the slogan of the Sunni-Shi’i sedition with the aim of infiltrating it, especially since it found that the strength of the unity between Sunnis and Shi’is cannot be confronted” (al-Manar TV, September 24). Hezbollah chief Muhammad Hussein Fadlallah suggested the Egyptian shaykh should speak out against Christian missionary activity in the Islamic world instead of identifying Shiites as the problem. Fadlallah also accused al-Qaradawi of the committing the sin of fitna (creating discord between Muslims) in an interview with Kuwaiti newspaper Al-Rai Al-Amm (AP, September 24). Leading members of the influential International Union of Muslim Scholars, headed by al-Qaradawi, have been highly critical of the shaykh’s allegations, describing them as divisive and embarrassing. With Shia members of the group threatening mass resignation, a meeting has been set for November to discuss the problem (Al-Ahram Weekly, September 25 – October 5). Many of al-Qaradawi’s remarks were directed at Egypt, which has a negligible Shiite population, placed at less than one per cent: “When I left Egypt 47 years ago, it had not a single Shiite and now there are many… who took them to Shiism? Egypt is the cradle of Sunnism and the country of Al-Azhar.” Cairo’s al-Azhar University, the Islamic world’s leading school of Islamic studies, recognizes Shi’ism as a legitimate form of Islam and carries courses in Shiite studies. Al-Qaradawi has often found himself at odds with the institution and its leader, Muhammad Sayyid al-Tantawi. Ironically, al-Azhar mosque (which later grew into the university) was founded as a Shiite institution during the period of Shiite Fatimid rule in Egypt (969-1171 A.D.). Al-Qaradawi’s remarks reinforce an apparent fear amongst Egypt’s leadership that they are subject to a Shiite infiltration designed to depose the regime. Islamic scholars have been asked to educate security forces in Shi’a ideology and strategy, while the Minister of Religious Endowments recently warned, “We won’t allow the existence of a Shiite tide in Egyptian mosques” (AFP, September 23). In a controversial interview in 2006, Egyptian president Hosni Mubarak attacked Shiites as disloyal; “Most of the Shi’a are loyal to Iran and not to the countries they are living in” (al-Arabiya TV, April 8, 2006). A leading Egyptian jurist and Islamic scholar, Tariq al-Bishri, proclaimed “This fascism in the name of the Sunni majority against Shiites is the most dangerous thing for the Islamic nation because it pits Muslims against each other instead of against the invaders of their lands” (al-Dustur [Cairo], September 20). Prominent Saudi lawyer Amin Tahir Bediwi announced he will bring a lawsuit against al-Qaradawi in Qatar (The Peninsula [Qatar], September 29). 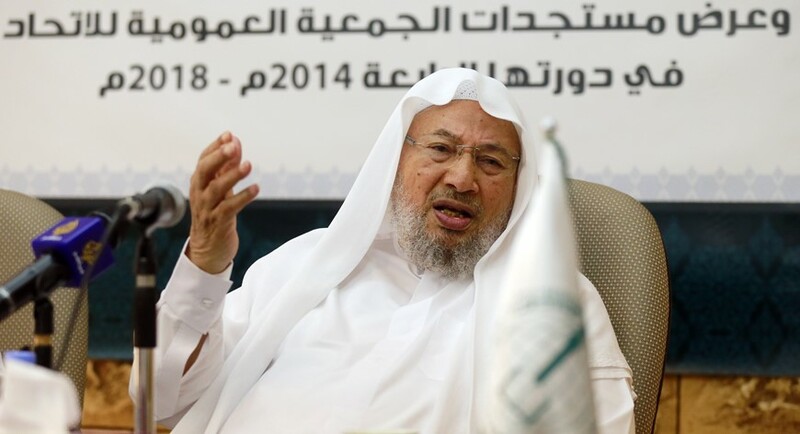 A second lawsuit has been launched by Shi’a activists in Qatar, demanding al-Qaradawi be stripped of his Qatari citizenship and deported to Egypt (Al-Ahram Weekly, September 25 – October 5). Al-Qaradawi has used his internet site this month to accuse Shiites of the forbidden practice of bid’a (innovation in religion): “They slap faces, strike chests until they bleed in commemoration of the death of Imam Al-Hussein (the Prophet Muhammad’s grandson)… They also do things when they visit the graves of the Prophet’s offspring like invoking their help instead of Allah’s” (Islam Online, September 25). The shaykh also used his website to line up a series of Shiite scholars who announced they were “satisfied” with the shaykh’s “clarification” that Shiites are indeed Muslims (Islam Online, September 20). Nevertheless, al-Qaradawi has continued his attacks on Iran and Shi’ism, telling an Arab daily that Iranian money is behind the spread of Shi’ism; “Money definitely plays a role but I cannot say that every person who backs Iran has been paid by them and I cannot accuse everyone of this. There are people who were paid and continue to be paid and there is shuttling between them and Iran. This is known.” (Al-Sharq al-Awsat, September 25). In a second interview with al-Masry al-Youm, al-Qaradawi declared, “I do not care and I am not shaken by this stir. I made this statement to answer to the dictates of my conscience and religion and responsibility… I am trying to pre-empt the threat before it gets worse. If we let Shiites penetrate Sunni societies, the outcome won’t be praiseworthy. The presence of Shiites in Iraq and Lebanon is the best evidence of instability” (al-Masry al-Youm, September 23). The February 13 assassination in Qatar of former Chechen President Zelimkhan Yandarbiyev by Russian agents is one of many challenges to international law posed by the new tactics of the “War on Terrorism.” America’s doctrine of preemptive “defensive” use of force has been enthusiastically taken up by several other powers, including Russia, which announced its own policy on the preemptive use of military force in the case of “direct threats” to Russia in October 2003. Unfortunately the definition of justified pre-emptive action depends on the national interests of each nation-state, as does the identification of individuals as “terrorists,” a prescription for inevitable conflict. The consequences of reinterpreting international law were recently displayed at the trial of Yandarbiyev’s assassins in petroleum-rich Qatar, base of operations for U.S. Central Command during the Iraq campaign. Yandarbiyev, 52 at his death, was born in Kazakhstan during the years of Stalin’s exile of the Chechen nation. A poet and children’s author, Yandarbiyev became a leader in the Chechen nationalist movement as the Soviet Union began to collapse. During the 1994-96 war, Yandarbiyev had little connection with military operations, spending his time writing books on the independence effort. After the Chechens retook Grozny, Yandarbiyev helped negotiate the war-ending Khasavyurt Accords, shocking Boris Yeltsin by his insistence that the Chechen delegation be accorded equal status with Russia at the negotiations. It was the high point in his struggle for Chechen independence. Yandarbiyev served as President of Chechnya from April 1996 to January 1997 after the assassination by targeted missile of his predecessor, Djokar Dudayev. His vision of an Islamic Chechnya was soundly rejected in the Presidential elections of 1997, in which he placed a distant third. In the second Chechen war, Yandarbiyev was assigned as Chechen representative in the Gulf because of his “authority and connections” in the region. In his appearances on al-Jazeera TV and elsewhere, Yandarbiyev grew increasingly dismissive of appeals to the West for moral or material support for the Chechen cause. 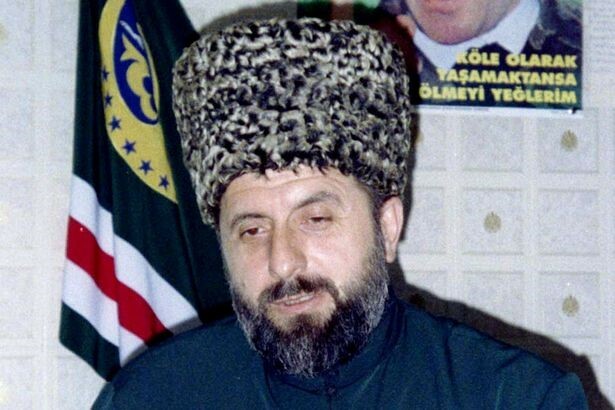 It was his belief that all Muslim nations should provide the Chechen jihad with military as well as humanitarian assistance in support of “Chechnya as an independent Islamic state.”  After numerous disagreements with Maskhadov, Yandarbiyev dissociated himself from the government in November 2002, calling for less restraint in the methods used in the “national liberation struggle.” Living in Qatar as a guest of its ruler, Emir al-Thani, Yandarbiyev wrote extensively on his radical interpretation of the theory of jihad, including the books Whose Caliphate? and Jihad and Problems of the Contemporary World. Yandarbiyev’s attempts to gather official Arab and Muslim support for Chechen aspirations were largely unsuccessful, save for recognition of Chechen independence by the Taliban government of Afghanistan. This effort was unappreciated by Maskhadov, who refused to give his approval. Hindered further by Russia’s warnings to Muslim states that a visit from Yandarbiyev would be regarded as “a hostile act,” Yandarbiyev spent much of his time writing in his Qatar villa. Russia made the first of several requests for extradition in February 2003, citing Yandarbiyev as a major international terrorist and financier of the “al-Qaeda backed” Chechen resistance. On February 13, 2004, a car bomb killed Yandarbiyev and badly injured his young son. In Grozny, the newly “elected” Russian-backed President Akhmad Kadyrov declared that no one in Chechnya would regret Yandarbiyev’s fate. A few months later, Kadyrov would himself be victim of an assassin’s bomb. The arrests occurred at a villa rented for the Russian agents some distance from the Russian Embassy. Alexander Fetisov, First Secretary of the Embassy, claimed diplomatic immunity and was eventually released. For the others, the future looked grim; there were witnesses, bomb-making materials seized from the villa, and the Qataris had recordings of all their cell-phone traffic. Convinced that they had been abandoned to their fate, the two agents gave detailed confessions. These were later withdrawn when a team of top Russian lawyers arrived to defend them, but despite Russian allegations that the statements were the result of torture, they were accepted into evidence. Efforts to claim the villa as Russian diplomatic territory to force the exclusion of evidence taken there were also unsuccessful. In a return to the methods of the Cold War, two members of the Qatar wrestling team were arrested on February 26 for alleged currency violations while changing planes in Moscow. Their detention sparked predictable outrage in Qatar. The wrestlers were released a month later when Fetisov was allowed to return to Russia. Shortly after, a Russian spokesman made the surprising and unsubstantiated charge that Yandarbiyev was responsible for the 1996 attack on a Red Cross hospital in Noviye Atagi in which six international workers were murdered. The Russian position was consistent throughout the trial: the agents “stayed in Qatar legally and carried out informational and analytical tasks related to the fight against international terrorism without any violation of the local legislation.”  Foreign Minister Lavrov pointed to Russia’s condemnation of the assassination of Hamas leader Shaykh Yassin as proof of Russia’s rejection of extrajudicial punishments. As the verdict approached, the Kremlin made a surprising show of clemency itself, releasing seven alleged Russian Taliban members  recently transferred from Guantanamo Bay – despite an understanding with the U.S. that the prisoners would be prosecuted on their return to Russia. Nevertheless, there are many members of the current U.S. administration who believe that these agreements and related executive orders have no application in the War on Terrorism. Some legal experts have argued that Article 51 of the UN Charter allows for “anticipatory” self-defense, though others argue that the Charter refers only to nation-states and not individuals. 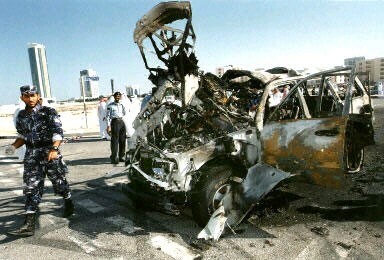 After the November 2002 assassination of al-Qaeda leader Qaed al-Harthi and five compatriots in Yemen by the missiles of a CIA Predator unmanned aircraft, U.S. National Security Advisor Condaleeza Rice maintained that President Bush was “well within the bounds of accepted practice and the letter of his constitutional authority.”  When authority to launch similar strikes was passed to various members of the administration, assassination found new legitimacy as a tactic in the War on Terrorism. “War, unleashed in Georgia and Azerbaijan 12 years ago, has not ended” [Interview with Zelimkhan Yandarbiyev], Zerkalo (Azerbaijan), Sept.24, 2002. “Exclusive interview of the ex-president of the Chechen Republic of Ichkeria Zelimkhan Yandarbiyev with the Daymohk News Agency,” July 15, 2004, www.daymohk.info/rus/index.php. Ilya Shabalkin, quoted in: “Former Chechen rebel leader killed for $200,000,” Gazeta.ru, Feb.16, 2004. Olga Kultonova: Nikolai Leonov: “Only Americans could kill Yandarbiyev,” Feb.29, 2004, www.newsinfo.ru. Michael Binyon and Jeremy Page: “Qatar bombers ‘were Russian special forces’,” The Times (London), March 12, 2004. Andrey Zlobin: “Interview with Steven Pifer [U.S. Deputy Assistant for European and Eurasian Affairs],” Vremya Novostey no.47, March 22, 2004, www.vremya.ru/2004/47/5/94450.html. Anatoly Medetsky: “U.S. helped Qatar make the arrests,” Moscow Times, March 23, 2004. Mikhail Zygar: “They have inquisitional trial” [Interview with Dmitriy Afanasyev], Kommersant no.77, April 28, 2004. Yuri Zinin: “Russians on trial in Qatar feel ‘normal’, says Russian embassy,” RIA Novosti, June 28, 2004. Andrew McGregor: “From Russia to Cuba: The Journey of the Russian Taliban,” Central Asia – Caucasus Analyst (Central Asia Caucasus Institute – Johns Hopkins University), July 16, 2003, www.cacianalyst.org/view_article.php. Akhmad Zakayev, quoted in Andrew Hammond, “Qatar court jails Russians over Chechen killing,” Reuters, June 30, 2004: Nearly identical comments were made by Shamyl Basayev: “Chechen warlord says won’t hurt Russians abroad –TV,” Reuters, July 2, 2004. Julian Borger: “Israel trains U.S. assassination squads in Iraq,” The Guardian, Dec.9, 2003. “Bush gives nod to more attacks on terrorists,” Reuters, Nov.11, 2002. MFA Sergey Lavrov, quoted in: “Yandarbiev assassination: No Russian connection, says Foreign Minister,” RIA Novosti (Moscow), March 18, 2004. This article was first published in the July 14, 2004 issue of the Jamestown Foundation’s Terrorism Monitor.